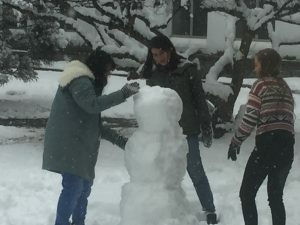 The School Sisters of Notre Dame United Nations Commission on the Status of Women (UN-CSW) delegation was snowbound in Wilton, Connecticut, today and unable to get into New York City. Our international delegation to the UN-CSW had a first hand experience with the theme “Access of women to the media, and information and communications technologies (ICTs)” The group was happy to access the meetings of the UN-CSW on WebTV. Our participants listened to the discussions about the needs of women and girls, and heard some surprising feedback from the various countries of the world. As many noted, “Empowering rural women and girls” must begin with education. The statistics – that the literacy rate of women in Afghanistan is 10% and in Saudi Arabia is only 4.7% – raise serious concerns about the empowerment of women in these two countries. 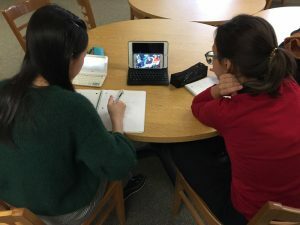 With the help of technology and WebTV, students were able to watch the day’s UN-CSW presentations despite the blustery weather outside. “Women in Politics,” the title of another presentation, gave us insights into the challenges of empowering women in elected leadership. Although Great Britain is celebrating 100 years of women’s suffrage, their representative was quick to admit that initially only women who were over 30 and owned property were eligible to vote. It took another ten years before all women could vote. A female parliamentarian from Malawi, where women only make up 20% of the parliament, was quick to remind her audience that a minority of women such as that cannot achieve the empowerment of women without their male colleagues. Sister Eileen Reilly made note of a quote from Rodrigo Gouveia of the International Cooperative Alliance which said, “It is important to make rural women and girls actors of development, rather than just beneficiaries of aid.” This will truly be a topic worthy of discussion as the week continues. Charlotte is 17 years old and is a senior at the Institute of Notre Dame in Baltimore, Maryland. Her favorite subject is math. In her spare time, she likes to watch the television series, “Friends,” go shopping and hang out with her friends. She has one older sister. 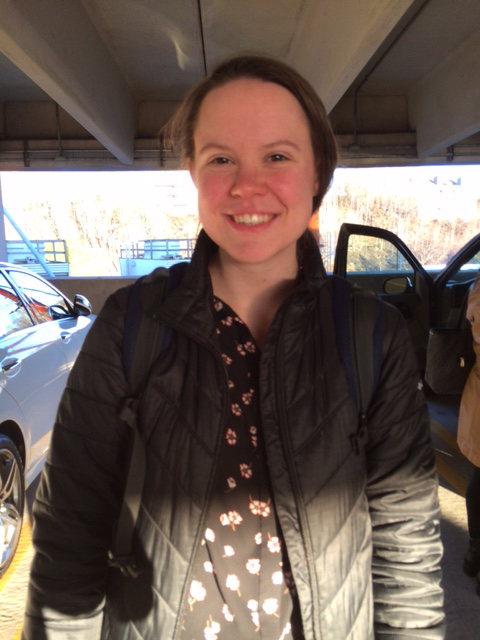 Meaghan is 17 years old and lives in Baltimore, Maryland, where she attends the Institute of Notre Dame. She loves to exercise and watch shows on Netflix, especially Grey’s Anatomy. Her favorite subject in school is history. 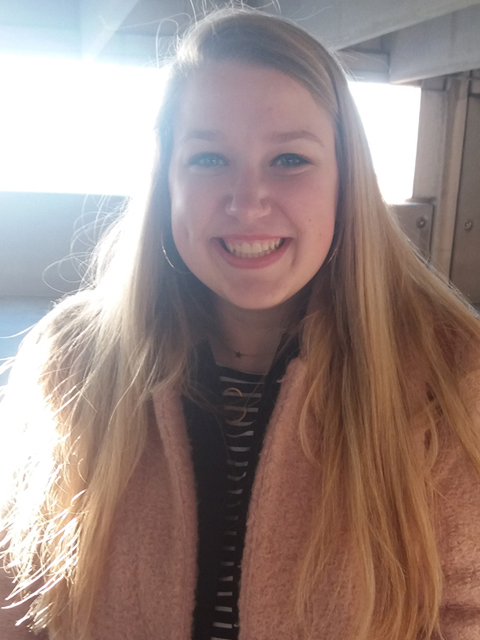 After high school, she hopes to study city planning.